One of the greatest multi class racing leagues ever formed the LLBM Le mans series pits super performance R1 le mans prototype cars up against each other while at the same time running on the same track are the super powerful GT2 r3 cars. Two classes of cars makes for very close, tight and intense racing where skill and driver sense is key. The LLBM Le mans series is by far one of the best leagues that you will find in the forza community. 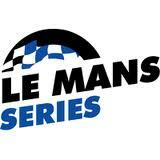 Please click on the title to visit the official Le mans series website. Our wonderful spec series had a great inaugural season and is poised to be even better next year for our second season. The LLBM Gallardo cup is a spec series which means that everyone is using the same tune setup to make for the closest racing we've ever seen! for the 2005 Lamborghini Gallardo. The upgrades that everyone applies to there cars make for some very sporty and competitive race cars. Please click on the title to visit the official Gallardo cup website. The LLBM 1.2 hours of Nurburgring is a 1 round endurance event that will happen just once every year. The event will contain 4 different classes competing in two different lobbies for class supremacy. Classes include gt1, gt2, gt3, and touring car. The event will have a buy in of 1 million credits and will happen on July 15th. Click on the title to visit the official 1.2 hours of nurburgring website. 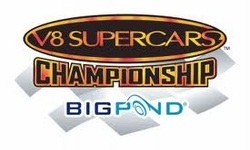 The Australians have made the v8 supercar championship one of the best known and most competitive racing series' on the planet to date. So LLBM decided to create our own v8 supercar championship. The ultimate battle between Holden and Ford should prove to be one of our most competitive and tightest series ever! The Holden Commodore and the Ford Falcon are the cars to do battle in this series and it should be an absolute doozey! More leagues on the way!